...Conquer your clutter clearing challenge! But I'm not going to tell you. Stephanie is a proffesional. And I've included excerpts from her "Clutter-Free Forever" ebook and Home Coaching Program here for you. Update: Stephanie's "Clutter Free Forever" ebook has now become Clutter Clearing from the Inside Out. If you would like to find out more about it - go to clutter clearing, it's the last book on the page. 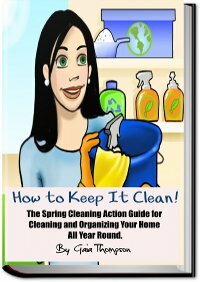 Want to read other house cleaning tips..? Click here to return from clutter free to the homepage.